ESKISEHIR, TURKEY. 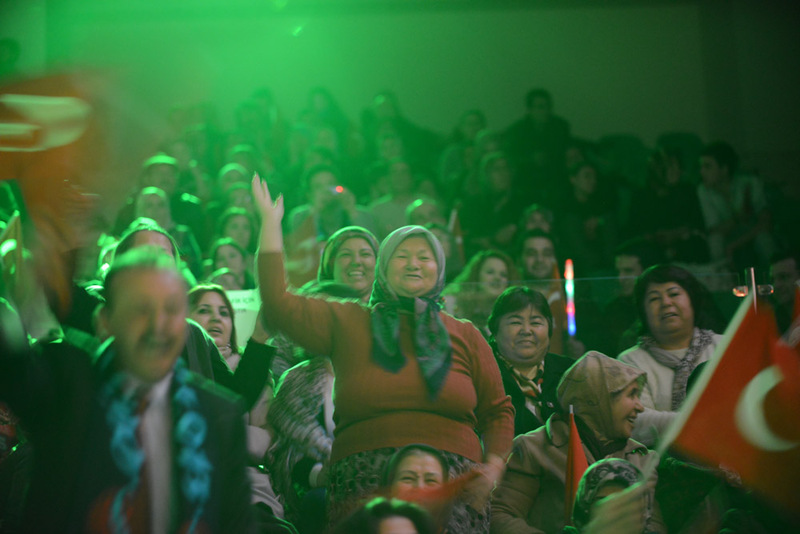 Members of the audience go wild during the Turkvision Song Contest semifinals at the Besyo Sport Stadium at Anadolu University on December 19, 2013. The Turkvision Song Contest is Turkey's pan-Turkic response to the Eurovision Song Contest and 2013 is its inaugural year; Turkey has a history of participating in Eurovision dating back to 1975 but withdrew from the competition in 2013 after not airing the contest and paying a fine in 2012 when the government cited an on-air lesbian kiss as being against Turkish values.